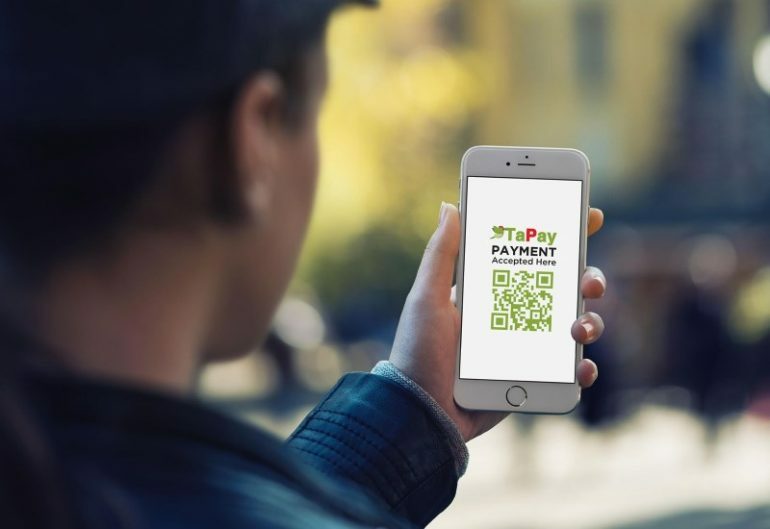 KUALA LUMPUR: TaPay, the first local electronic wallet (e-wallet) application that was launched today, is in line with the government’s effort towards cashless payment. Treasury Secretary-General, Tan Sri Dr Irwan Serigar Abdullah said TaPay, developed by Fullrich Malaysia Sdn Bhd, is also expected to contribute to smart city solutions in the country’ aspirations in becoming a global technology hub. “The rapid growth and development of TaPay is remarkable and fulfils market demand for e-wallet applications,” he told the media after introducing the application in Cyberjaya yesterday. Also present were Fullrich chief executive officer Muhammad Hudhaifa Ahmad, Cyberview managing director Mohd Najib Ibrahim and Affin Bank Bhd managing director and chief executive officer Kamarul Ariffin Mohd Jamil. At the same event, Irwan Serigar also witnessed a joint-venture agreement between Fullrich and Cyberview and a signing of a memorandum of understanding (MoU) between Fullrich with Affin Bank, Piksum, Aladdin Street and Myrelo. TaPay, which was developed by Fullrich, a financial technology services company (FinTech), is a result of its collaboration with Cyberview and Affin Bank Group that is aimed to be a community-driven application. The application has been refined based on 100,000 suggestion and inputs from business groups, residents, educational institutions and students in the area of ​​Cyberjaya. Commenting on the e-wallet, Muhammad Hudhaifa said TaPay could be used to purchase goods, services and transfer of digital ringgit between app users. He said the application is also aimed at making the user’s life easier as it reduces the need for cash, credit cards and receipts. “Currently, TaPay is still under trial and Cyberjaya will be the first township to use this application. We will launch TaPay after all the process are done, including the approval from Bank Negara Malaysia (BNM),” Muhammad Hudhaifa said. At the same event, Mohd Najib explained that the collaboration with Fullrich is an initiative by Cyberview who strives towards cashless community in Cyberjaya. “Our goal is in line with the government’s call to expand Malaysia’s digital economy,” he said. TaPay also has a trader version (TaPay Biz) that has added attachment features, analysis and direct community engagement features.